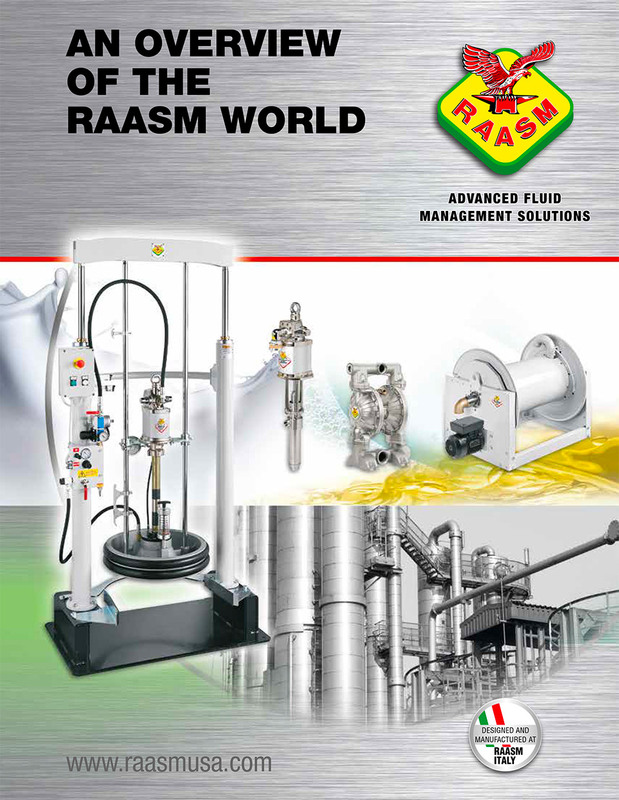 RAASM USA general catalog with all the products families available. 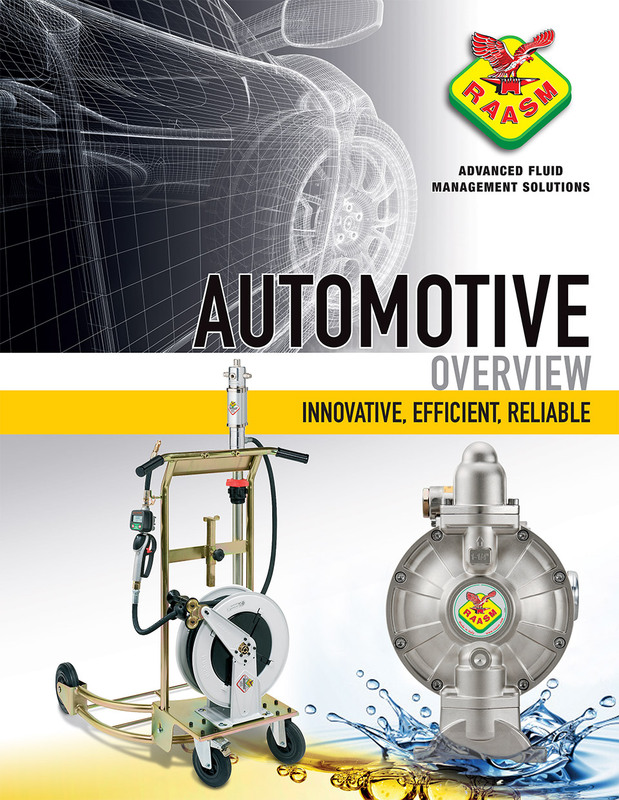 Products overview for the automotive sector. 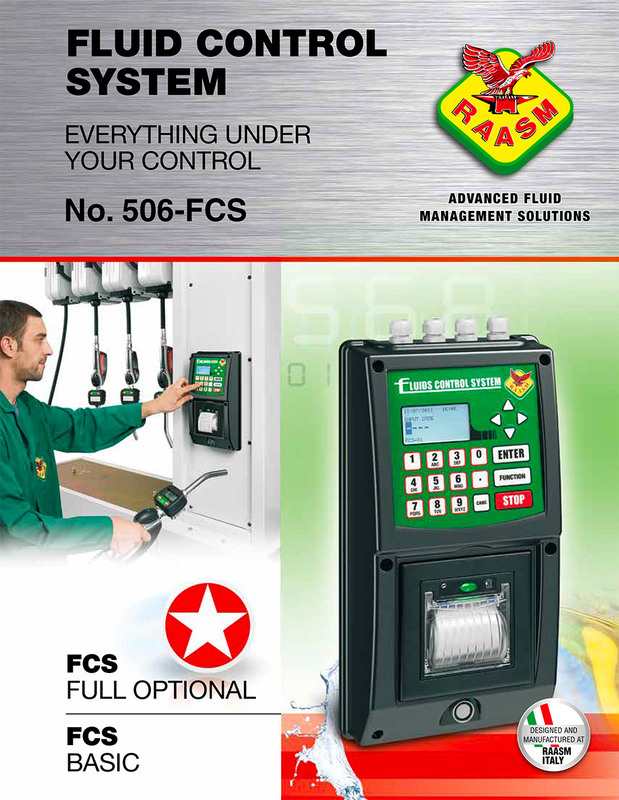 Catalog presenting the FCS – Fluid Control System (Full Optional and Basic versions). 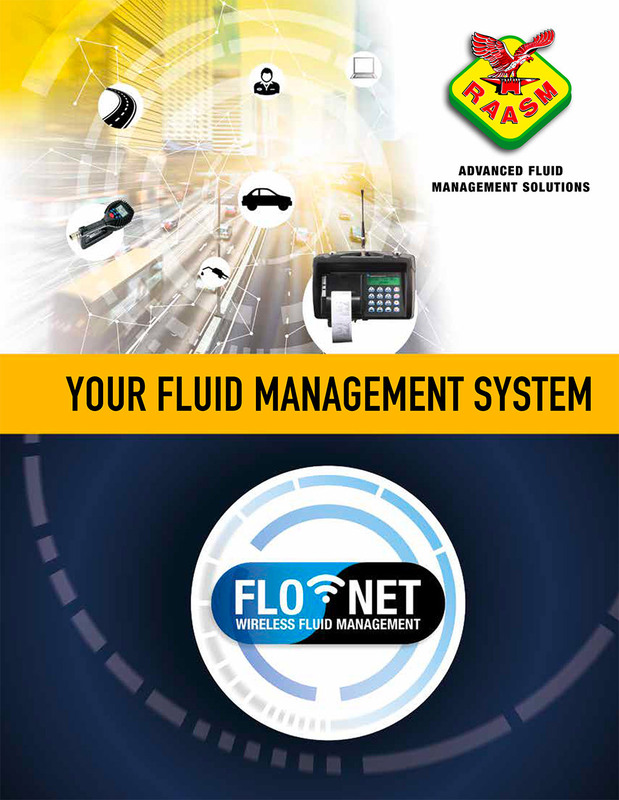 The wireless fluid management system for the automotive market. 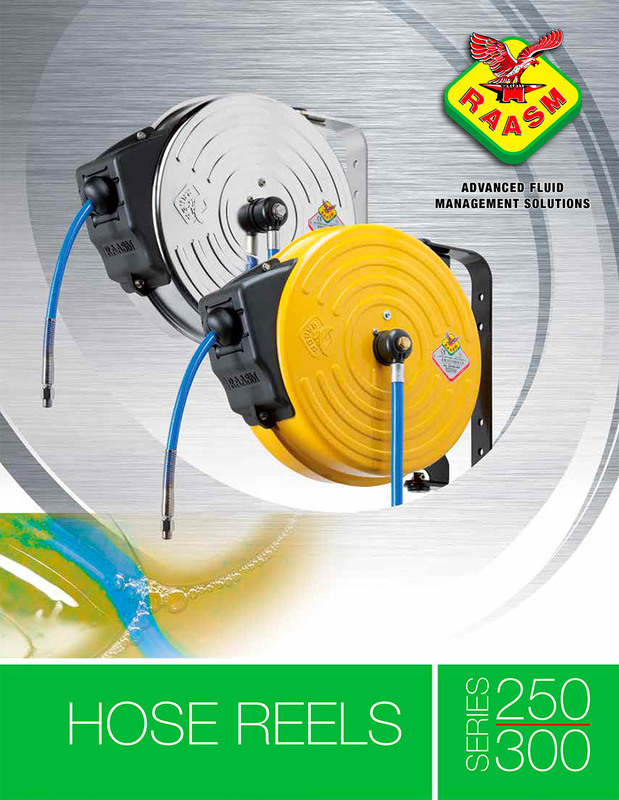 Catalog for s. 250-300 enclosed hose reels in painted and AISI 304 stainless steel. 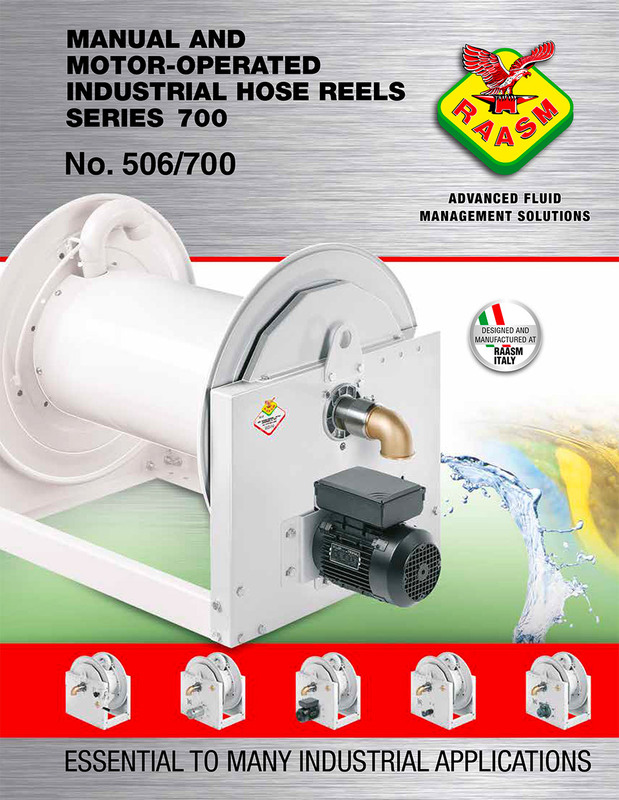 Catalog for s. 700 manual and motorized industrial hose reels. General catalog for diaphragm pumps in full aluminum and aluminum and polypropylene. 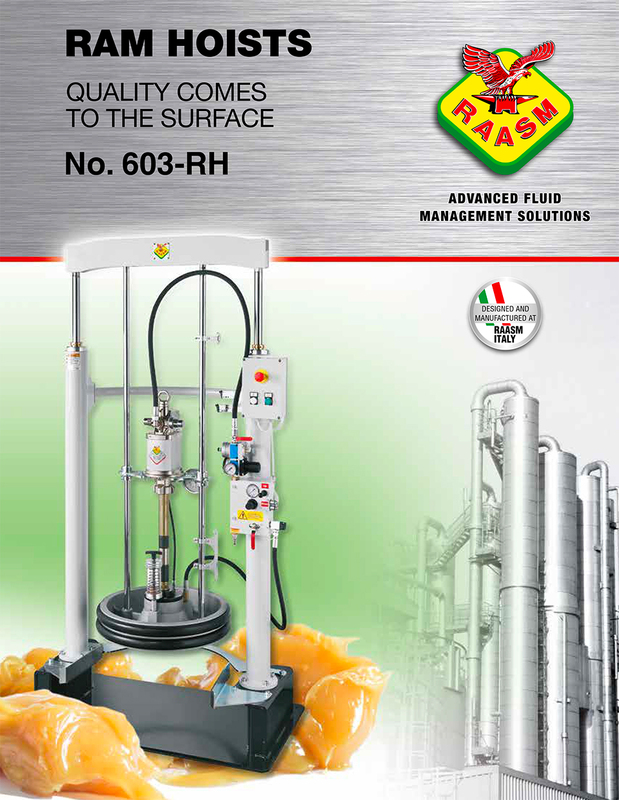 Catalog for fixed and portable ram hoists with ready-prepared kits. 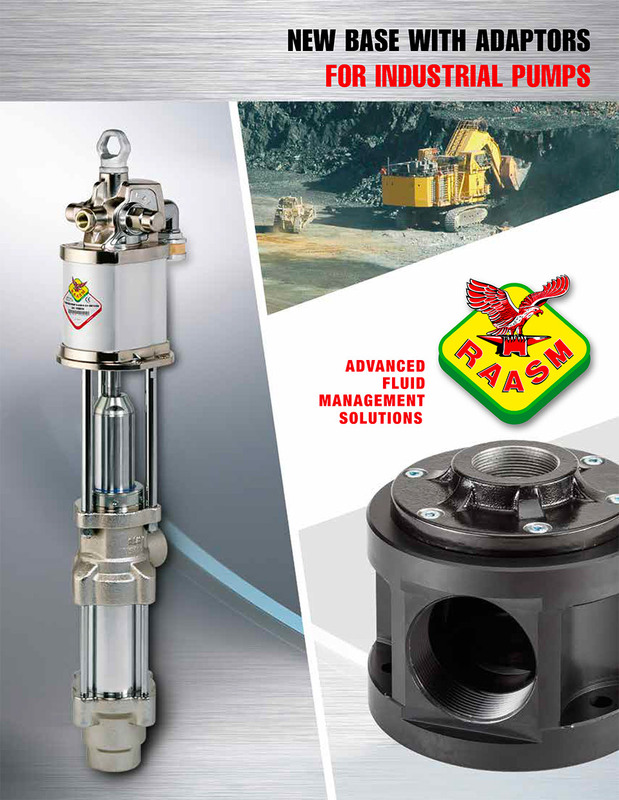 Flyer for base with adaptors for industrial pumps.